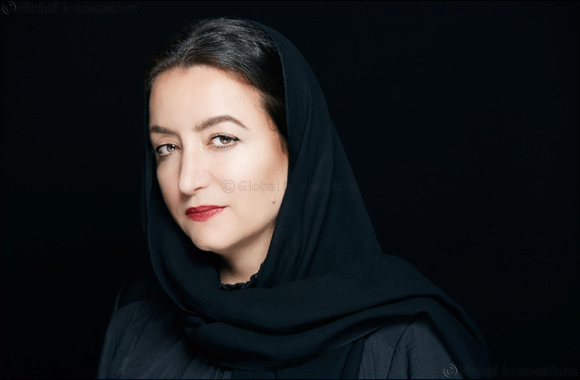 Dubai, UAE, January 30, 2019: The King Abdulaziz Center for World Culture (Ithra) and Art Dubai announce today London-based Saudi Arabian artist Daniah Alsaleh as the winner of the second edition of the Ithra Art Prize. The initiative was launched in 2017 by Ithra in partnership with Art Dubai, the aim of Ithra Art Prize is to support and promote emerging Saudi contemporary artists on a truly global platform. All Saudi and Saudi-based artists and collectives were invited to submit proposals via an annual open call, with the prize winner receiving up to $100,000 to realize their new artwork, which will be first shown at Art Dubai before moving to Ithra as part of the Center’s permanent collection. The inaugural winner, Sharjah-based conceptual artist Ayman Zedani’s commission, Meem, was exhibited at Art Dubai last year. A testament to the popularity and impact of the Prize, the second edition of the competition received twice the number of applications, with Daniah Alsaleh’s winning proposal chosen by a selection committee made up of the curatorial team at Ithra and international art experts, Mona Khazindar and Anna Seaman. Born and raised in Riyadh, Alsaleh (b. 1970) is currently completing a Masters in Fine Art in Computational Art at Goldsmiths University of London. Through her work, she addresses notions of the unobtrusive, the ordinary and the common, using geometry and pattern as a form of expression, and crossing disciplines from painting to developing generative art processes with code. Described by the selection committee as “powerful and thoroughly captivating”, Alsaleh’s proposal explores the structure and complexities of language, deconstructing it to its smaller unit of sound, the phoneme, and lends the large-scale multimedia artwork its name: Sawtam, the Arabic translation of “phoneme”. Alsaleh will spend the next months finlazing Sawtam, before being exhibited during Art Dubai and then joining Ithra’s permanent art collection. Ithra, a cultural and creative hub based in Dhahran, Saudi Arabia, offers programs and compelling experiences while enhancing and showcasing local and global talents. It proudly made TIME Magazine’s 2018 list of one of the world’s best 100 places to visit.